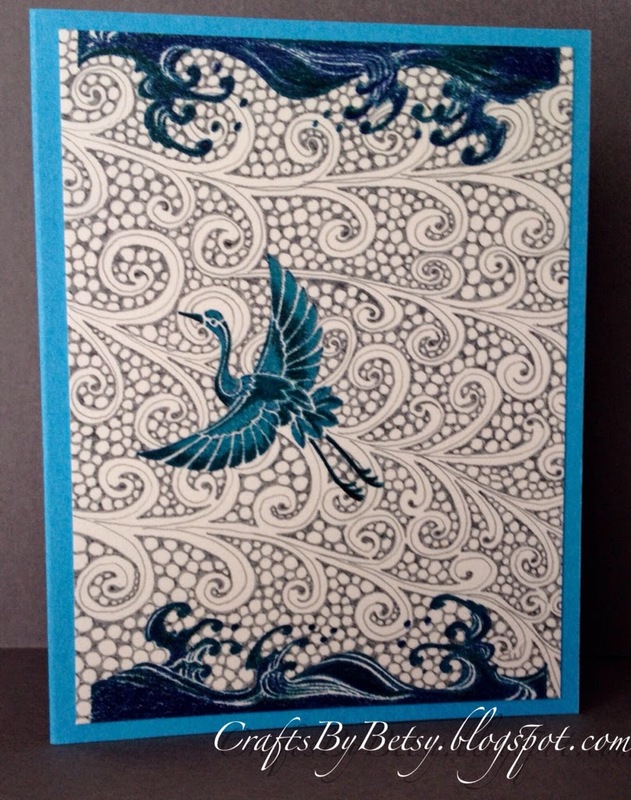 Two weeks in a row of Zentangle® inspired cards. 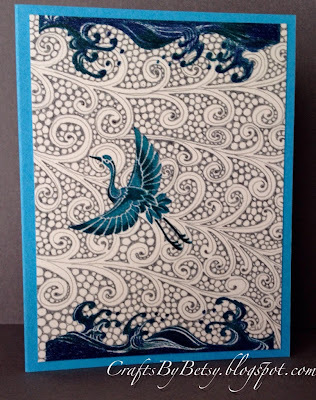 Stamps for this card are by Kodomo Inc. I used Momento ink to stamp onto Watercolor paper. The tangle is a combination of Opus and Tipple done with a cool gray Copic Multiliner. I went back over the stamped image with Faber-Castell Polychromos Colour pencils to darken and add shading. I also used new toys, Derwent blender and burnisher pencils. 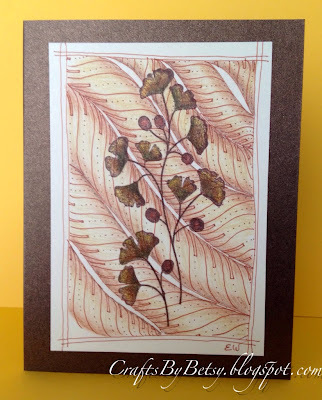 Ginko stamp by Stampin Up(Images © 1990-2014 Stampin' Up!) using Momento ink. The tangle is Finery done with a brown Sakura Pigma Micron. Coloring/shading done with Faber-Castell Polychromos Colour Pencils. If you haven't already done so, you still have time to get your name in the hat for the give away. For more details, click here. These are beautiful. I love your colors and the use of stamps. Thank you for sharing with us! I like that idea...those come out so pretty.